When the wind picks up, your little one can just flip up the jersey-lined hemmed hood of this substantial sweatshirt. High quality embroidered hoodie. 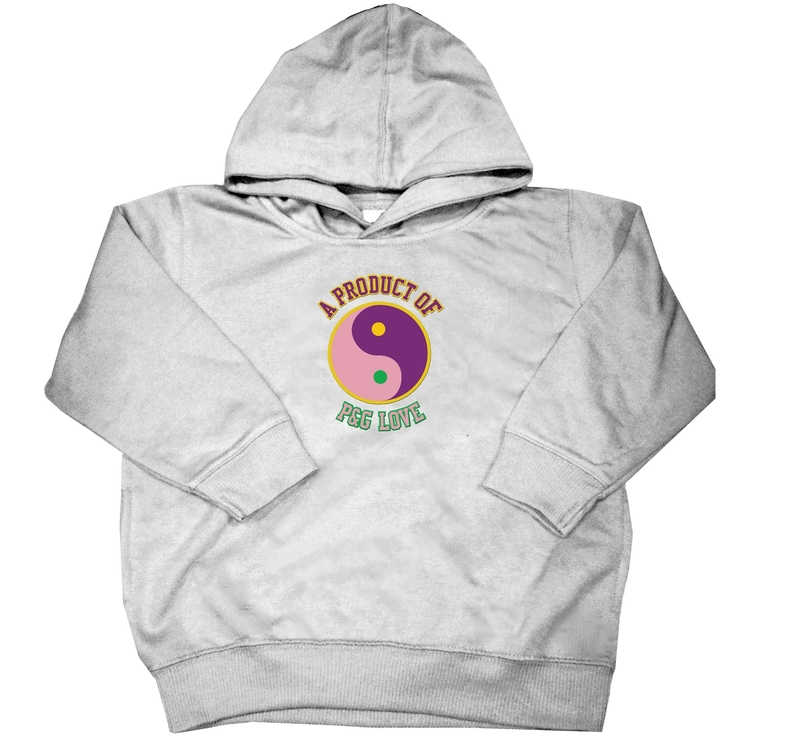 Gray hoodie with pink, purple, kelly green, and gold letters.